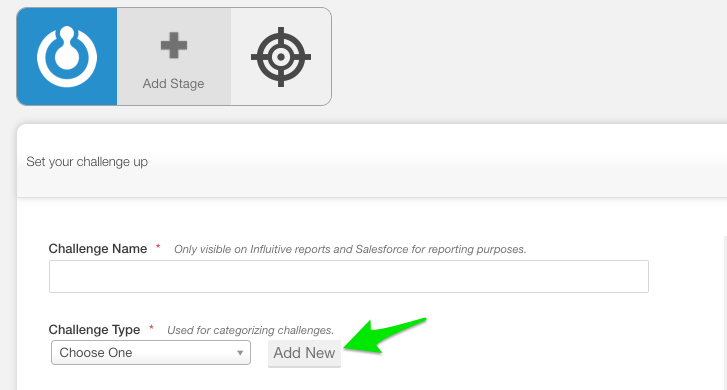 Each AdvocateHub has a default set of challenge types. This list should help you manage and categorize your content. You can see the full list of challenge types by going to Settings > Scoring & Achievements > Challenge Types. 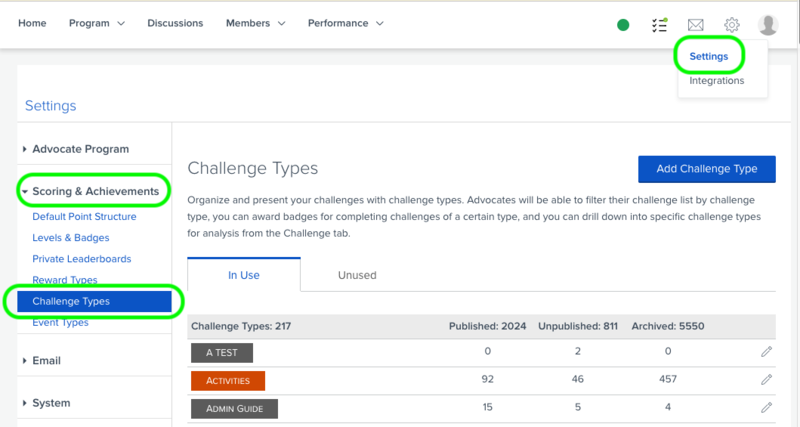 Here, you have the ability to see a list of In Use and Unused Challenge Types and the amount of Published, Unpublished and Archived Challenges with the Challenge Types. You can edit the Challenge Types by clicking the pencil icon. This allows you to change the colours and names of the challenge types. Note: Currently, you are not able to delete any Challenge Types. However, it's definitely in our future roadmap to add the ability to delete Challenge Types. Stay tuned for updates! You also have the option to add a challenge type directly from the challenge details page. Click on Add New beside the challenge type drop down window. Type in the name of the challenge type you wish to create, and select Create Challenge type. The Challenge Type is now available to you in the Challenge Type drop down menu.